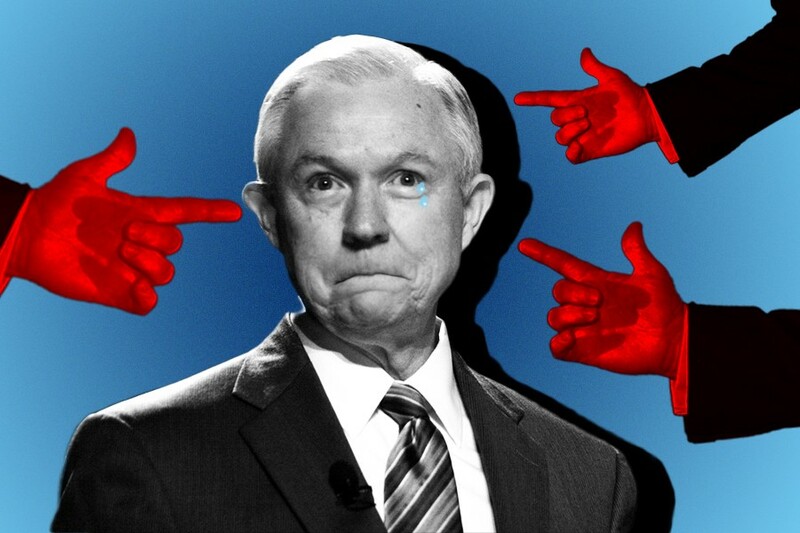 Nobody should feel bad for Jeff Sessions. The man was a booster of Donald Trump from the beginning — the first sitting senator to endorse him for president — and since becoming U.S. Attorney General, he’s done whatever he can to roll back civil rights for the most vulnerable communities while letting police seize their property for no reason. His justice policies are so retrograde that the Russia stuff pales in comparison. Trump is reportedly furious at Sessions for, among other things, recusing himself in the Russia investigation. By trolling him on Twitter — or so the thinking goes — Trump will force his man out, creating the opportunity to appoint someone else who will terminate both Deputy AG Rod Rosenstein and special counsel Robert Mueller, the guy currently digging into Trump’s family and business transactions for signs of Russian influence. Though he’s also insulting his employee because that’s what he normally does. I asked two ppl close to Trump why he is tormenting Sessions instead of firing him. The answer from both, paraphrased: Because he can. So what does Sessions do now? He gave up what would’ve been a lifetime seat representing Alabama in the Senate to be repeatedly humiliated on the national stage. On its face, that’s a pretty unusual career problem. But what if we framed it like any other office drama? The internet is full of job advice, especially when it comes to struggles with a domineering manager — surely you’ve dealt with one yourself. With that in mind, I set out to find the crowdsourced solution to Sessions’ dilemma. Soon enough I had two answers — but they were limited to the admittedly narrow scope of the question. Still, they weren’t without value for someone facing this challenge. I realized, at this point, that to get Jeff Sessions the advice he truly, desperately needs, I was going to have to bring out the big guns. I had to tap the finest talent on the web. That’s right: It was time to ask Reddit. Then there was “unhappypatient,” who thought I could get my old job back—and maybe bring down my boss in the meantime. You know what? I think Sessions just might.